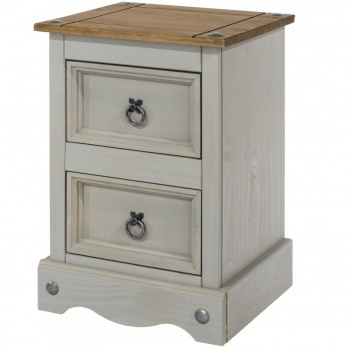 Stylish bedside cabinet with a modern Scandinavian inspired design. Handleless drawers add a contemporary feel. 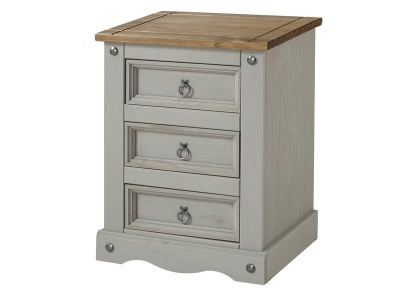 Angled pine legs typical of this style work in harmony with the fresh white finish of the cabinet to create a relaxing look. 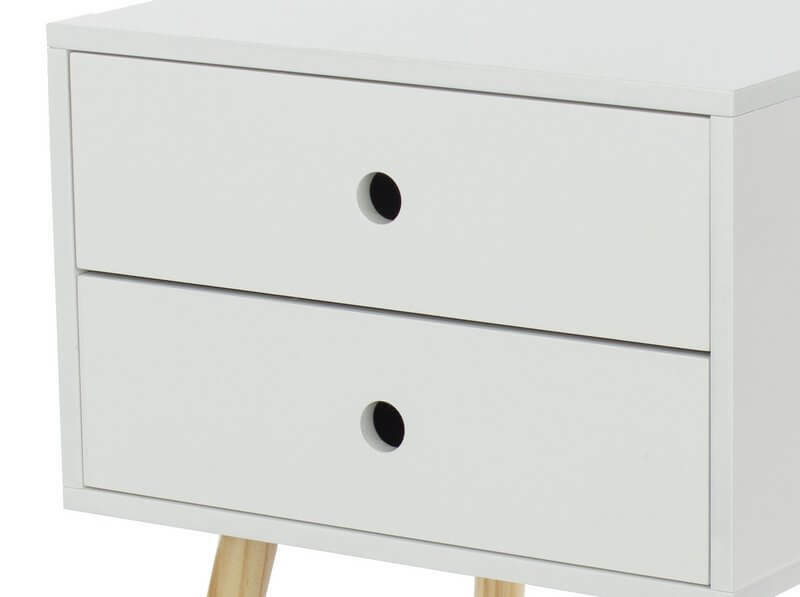 Two drawers provide you with handy bedside storage space. 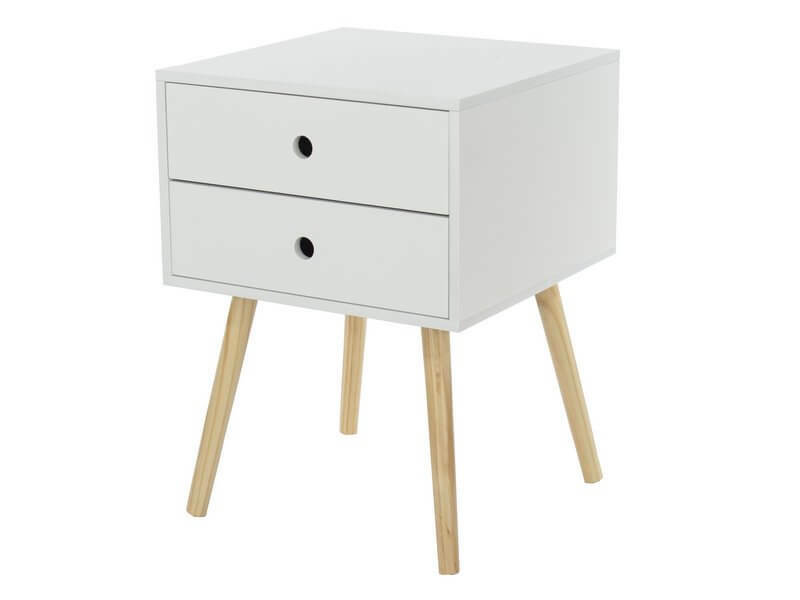 Flat packed for easy home assembly, full instructions included. 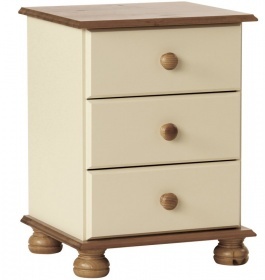 Part of the new collection of Options bedside cabinets.